This is a prime example of the sought after Monarch USN G1 flight jacket. 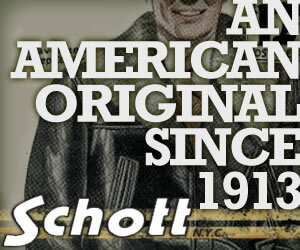 The Monarch made jackets were produced just one year post WWII in 1951. The jacket shows specification MIL-J-7823 (AER) and contract no. N383s-80667. Features of this particular style that set it apart from other flight jackets such as the A-2 used by the USAAF include a “belted” back, gusseted shoulder seems at the back for greater movement. Shearling collar with collar strap and a large internal map pocket. The jackets were constructed of soft but durable goat skin. Jackets are marked USN with stencil on the underside of the collar.